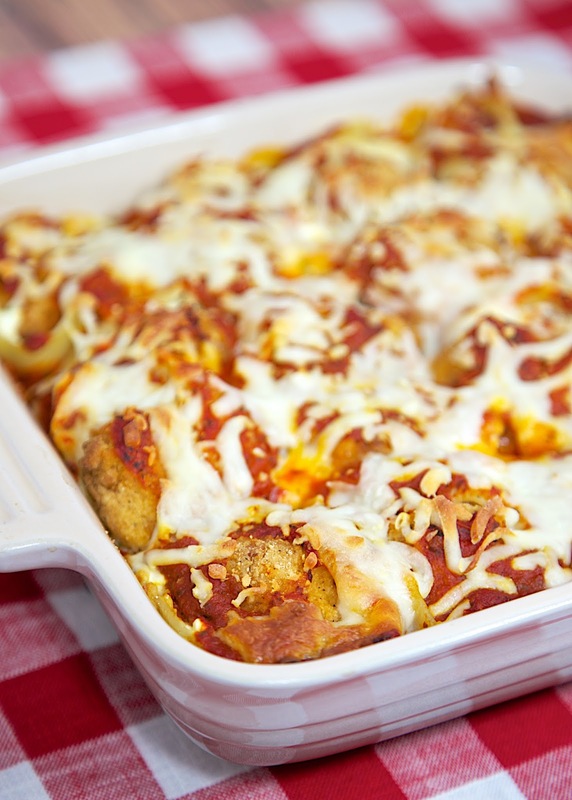 Chicken Parmesan Stuffed Shells - jumbo pasta shells stuffed with cheese, frozen popcorn chicken and spaghetti sauce - also makes a great freezer meal! Easy make ahead weeknight meal! A while back I made some Meatball Stuffed Shells and we loved them. I was going to make them again, but I thought why now swap out the meatballs for some chicken. Luckily I had some frozen popcorn chicken in the freezer. I got to work making the stuffed pasta. It turned out great! We both really liked the chicken and cheese in the shells. I made this in two 9x9-inch pans. I baked one for dinner and froze the other one for dinner another night. The shells were great at dinner and even better reheated for lunch the next day! 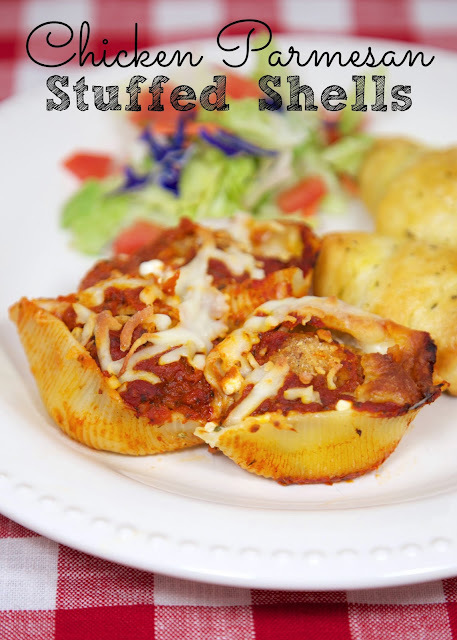 Serve these Chicken Parmesan Stuffed Shells with a salad and some garlic bread for a delicious Italian feast! This sounds yummy! Did you cook/precook the chicken before stuffing the shells (or use them frozen)? Thanks for always having such great dishes! I didn't cook the chicken first. I just let it cook along with the shells. It is already cooked, so you are just reheating it.